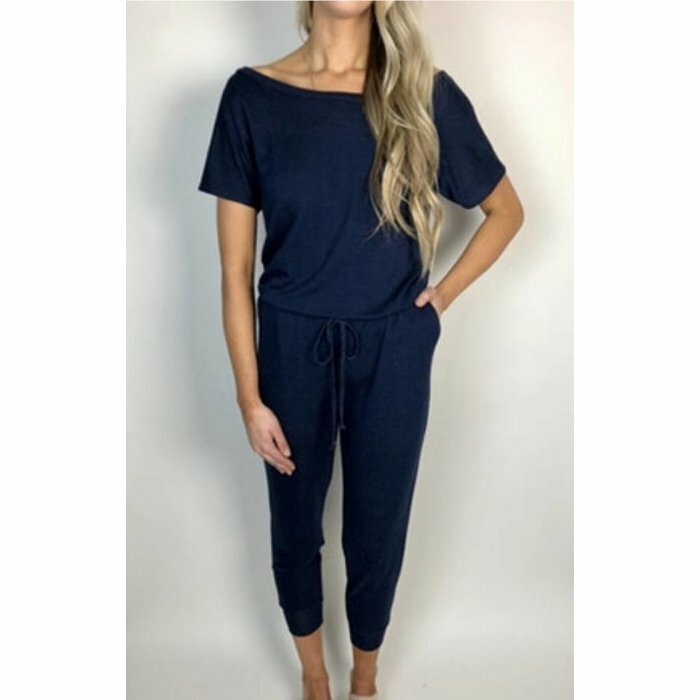 Short sleeve jumpsuit with a boat neckline. Elastic waist and has a tapered leg. An added feature is side pockets. Soft cotton blend fabric.